Last week, a little over 12 weeks out from my next marathon, I suddenly had a crisis of confidence. It’s not like I fear the marathon like I used to. I know I am capable of finishing. Yes, there is always a part of me that wonders “can I finish this marathon today” but for the most part, I know that if the fate of the world depended on me running 26.2 miles in one shot, I could do it, and the planet would be saved. No, the crisis wasn’t about completing a marathon. It was about finishing, more specifically, finishing strong. Just over 9 minutes close to calling myself a Boston qualifier (3:20:59). Yet many of the metrics used to project marathon times based on shorter races like the half-marathon and 10K indicate that I should be capable of running anywhere between a 3:07 and a 3:17. My best to date? A 3:30. I supposed I could reason that Boston is a tough race to qualify with. I could argue that maybe I would have BQ’d in Providence had I not just run a Boston 2 weeks earlier. But those would just be excuses. Is Boston really 12 minutes harder? Did running Boston really cost me 9 1/2 minutes in Providence? I have a hard time believing that. Many in my life will attest that I have struggled through much of my adult life with the concept of finishing. I will start dozens of projects and finish a few. One of the “few” things that I have maintained an almost laser-like focus on has been running. Running has brought a certain amount of order to my life that was definitely lacking before. With each race I have signed up for, I have been able to focus on a goal and follow it through. The success or failure in achieving that goal (a sub-40 10K – SUCCESS!, a 1:30 half-marathon and a 3:20 mary – not yet) has almost been secondary to following the task to the finish line. When I briefly ran cross-country in high school, I did it begrudgingly. I ran because I really wasn’t any good at any other fall sport. Unfortunately, I was expected to do something in the fall to stay fit for the spring track season (I ran the 330 IM hurdles – I was too slow for the 100, 220 and 440). To say I didn’t like it is an understatement, plus, I really wasn’t any good. I dropped out of a few races, a few because of injury, others because my heart was just not in it. My heart was just not in it. That statement has been floating around my head for the last few days. Is that my problem? Is it a heart issue? A twitter friend said to me recently that she thought that heart was represented through determination. I’m pretty sure that I have that. Another friend said to me when I first started this marathon quest, that the last 6.2 miles of a marathon are where you really discover just who you are and what you are made of. The last 6.2 of Manchester showed me that I could finish what I had started, even if it meant doing so on frozen quads. But as I look back at Boston and Providence through the lens of time, I wonder, what did those last 6.2 miles really tell me? Did my body fail me, albeit to a lesser degree, again? did I error strategically? or was it my heart? I am going to tell myself it was the first two, and I now have 12 weeks to prove it. For my Boston/Providence double this Spring, I did not follow any particular training plan. I simply ran. I logged a tremendous amount of miles, but never followed any schedule, and quite honestly, never did much in the way of speed or threshold work. That changes for this fall. Yes, I am again pulling a double (this time 5 weeks apart), but my approach is going to be different. I am running the Smuttynose Rockfest Marathon on October 3rd followed by New York City in November. For the next 12 weeks I will be following a plan (the Pfitz 12/55) that works on endurance, speed and strategy. Something I have come to realize, just now, is that race day strategy doesn’t start when the gun goes off. It starts with the beginning of your training cycle. I tried to execute a smart strategy in Boston on race day, but the training I had done (essentially all long runs) didn’t lend itself to doing that. The training isn’t going to be easy. 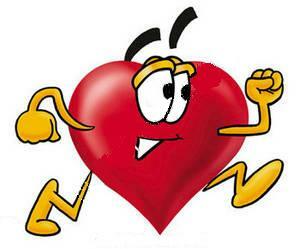 There will be hard runs and easy runs over the next 12 weeks, but maybe that is what heart is all about. To go back to my twitter friend, determination is where it all starts. It’s time to train hard, and more importantly, train smart. I’ve got 12 weeks to make my body match my heart. My heart is set on 3:20. Great approach, Matt. Can’t wait to see your Smuttynose/NYC results! In all of my heart I KNOW that you can BQ – it is so close that you can taste it! Don’t question what came before. You’ve found your bliss. Continue to enjoy it as you have, and I bet you’ll surprise yourself.